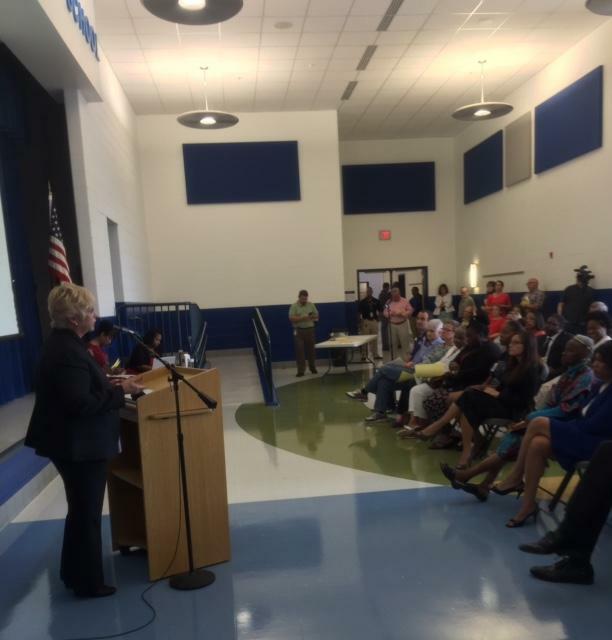 This year’s release of school report cards brought good news to Dayton Public Schools. The report revealed the district will avoid a 2018 takeover by the state’s academic distress commission. That’s because for the first time ever, it earned an A rating in the value-added category, which measures student progress. DPS was on track for takeover because it scored F’s in both that category and in overall performance for 3 straight years. But, the district still received an F for overall performance this year, and all other categories rated by the report card. Dayton Public Schools Superintendent Rhonda Corr says despite the good news, they’re not quite out of the woods yet. Corr said they’re working to improve their ratings by focusing on reducing absenteeism, recruiting high quality staff, and providing after-school intervention programs for at-risk students. 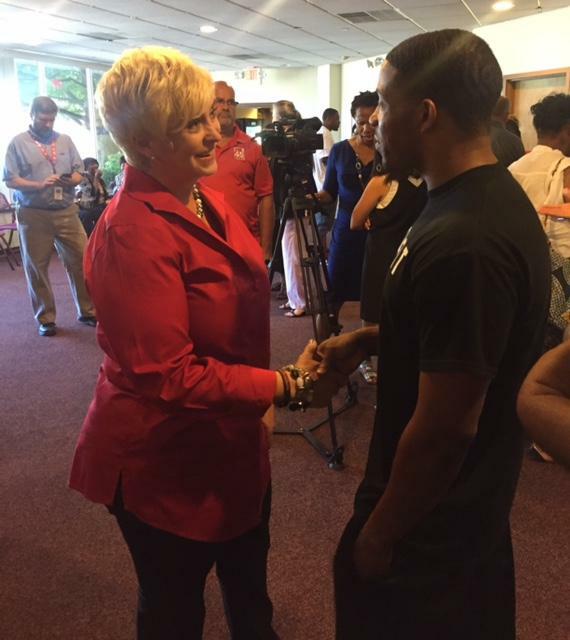 Rhonda Corr, the new superintendent of Dayton Public Schools (DPS) met with parents and community members yesterday at Central State University. Corr spoke to group of about 40 people about how she plans to turn around the failing district. In the speech, she said one her first items of business will be tackling third grade literacy -- Dayton Public Schools has one of the lowest rates in the State. Rhonda Corr has been named the new superintendent of Dayton Public Schools. Corr previously worked as an area superintendent in Chicago and Indianapolis Public Schools. She began her career as a Spanish teacher in Cleveland. More than 200 parents and Dayton community members packed into the auditorium at River's Edge Montessori School for the chance to meet and interview the 3 finalists for Dayton Public Schools Superintendent. The School Board narrowed their candidate pool down to Rhonda Corr, a former area superintendent in Indianapolis and Chicago, Gregory Roberson, an ex-military sergeant and Chief of the Office for Exceptional Children at Dayton Public Schools, and Daniel Schroer, the superintendent of Margaretta Local Schools in Castalia, Ohio. The Dayton School Board has shelved plans to put a new levy on the fall ballot. The 5-mill levy was supposed to pay for afterschool programs and preschool for all 4 year olds in Dayton. Plans changed after the City of Dayton decided to put its own levy on the ballot - one that would also cover universal preschool, among other things.